With the rise of gin has come something a little less expected: a whole host of new ways to drink it. Well, I say new, but folks were drinking gin well before tonic water was invented as a stealth way of getting anti-malarial quinine into pith-helmet wearing ex-pats in the early 1800s. While the G&T has become the canonical method of drinking gin, there’s a lot more to explore. My biggest recent gin revelation is gin and soda. Soda water is a much underrated mixer of late, but it’s the original fizzy drink and has a long history of adding sparkle and a hint of sourness to drinks both long and short. Without the sweetness and complexity of tonic and other mixers, it amplifies the flavours of the gin while knocking back the alcohol and adding a touch of fizz. 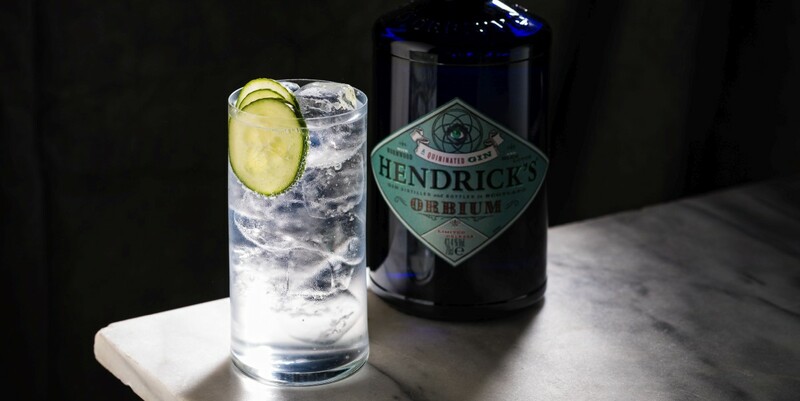 If you’re not entirely sure you want to drop the tonic water, then Hendrick’s Orbium is a good gateway to the clean and crisp world of the gin and soda. With quinine in the mix, it has some familiar tonic water flavours that are brought out by soda water, but without the sugar. Proportions-wise, I’d use a similar ratio to a gin and tonic, tweaking to personal preference. I normally go for 50ml of gin to 150-200ml of tonic – single serve tonic is the best way to make sure you always have appropriate levels of fizz, and it usually comes in 150-200ml bottles or cans, so just tweak your ratio to the amount of tonic you have. If you want something a bit sweeter, but without the bitterness of tonic water, the Gin Buck is for you. The Buck is a whole family of drinks and is simply a “thing and ginger ale” by a posher name. Whisky Bucks, Brandy Bucks, Rum Bucks (almost a Dark ‘N’ Stormy) and Vodka Bucks (aka The Moscow Mule) are all fairly well known, but the Gin Buck doesn’t seem to get much love. Dry ginger ale is key here, as punchy ginger beer will almost certainly overwhelm the gin with spiciness. The more lemonade-like and softly spicy character of ginger ale will lengthen and amplify the gin’s flavours, but it can still mask lighter gins. If you go for something weightier, like a spicy navy-strength Elephant Gin or Bruichladdich’s The Botanist, then you can be sure that you’ll get something balanced. Again, my standard G&T proportions would be my recommendation here – 1:3 or 1:4 gin to mixer. If you want a meal in a glass, then look no further than the Red Snapper. It’s like a Bloody Mary, but with gin rather than vodka. 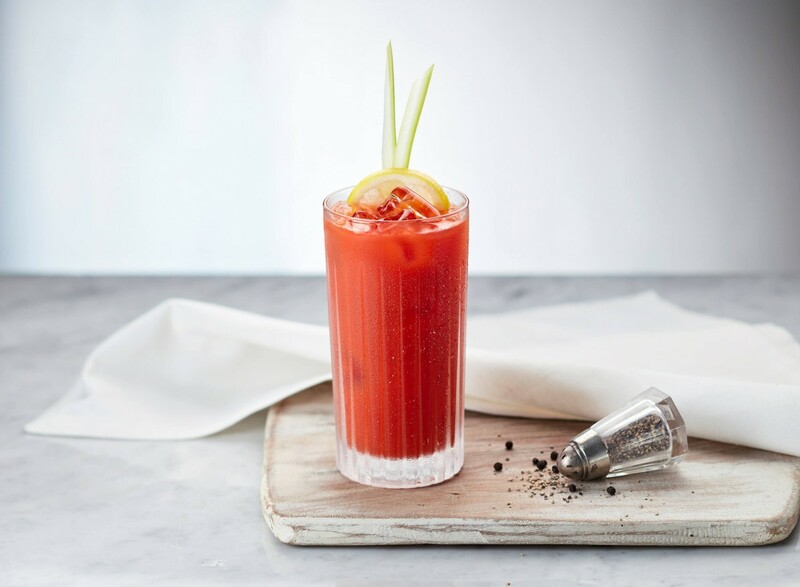 As someone who normally finds Bloody Marys to be a waste of vodka – I prefer them unboozy – the addition of gin adds extra flavours to the mix and immediately puts booze ‘n’ tomato juice back on my menu. When choosing a gin, go for something spicy, and then pull back on the spice in your tomato juice mix – let the gin be the seasoning. However, my favourite Red Snapper uses horseradish gin, adding a kick of rooty spice to rich tomato juice. I first tried it at a restaurant in London after watching the barstaff making the gin – add grated horseradish to a large jar of Beefeater gin and leave it to sit for an hour, occasionally giving it a shake. If it’s too spicy, you can cut it back with an extra slug of gin, but Beefeater is juniper-heavy enough to stand up to the horseradish and makes a great drink. Again, I’d go for my standard proportions, erring on the side of more tomato juice if you’re using ‘burn your face off’ horseradish gin. With the new wave of gins has come a manner of drinking not commonly seen for more than a century. Harking back to the dark days of London’s gin mania, people are now doing the unthinkable: they’re drinking gin neat. While back then drinking gin neat was a product of having nothing to mix it with – a problem, as much of it was awful – these days gin makers have created complex spirits that are perfectly palatable without any additions. I make sure to try every new gin that crosses my path on its own before I add any mixers. Like with any ingredient, it’s all about knowing what it tastes like and how it will complement your recipe. Sometimes, you don’t need anything else, and a gin stands alone, ready for sipping. However you like your gin, don’t be afraid to experiment. There’s so much more to drinking gin than splashing in some tonic.